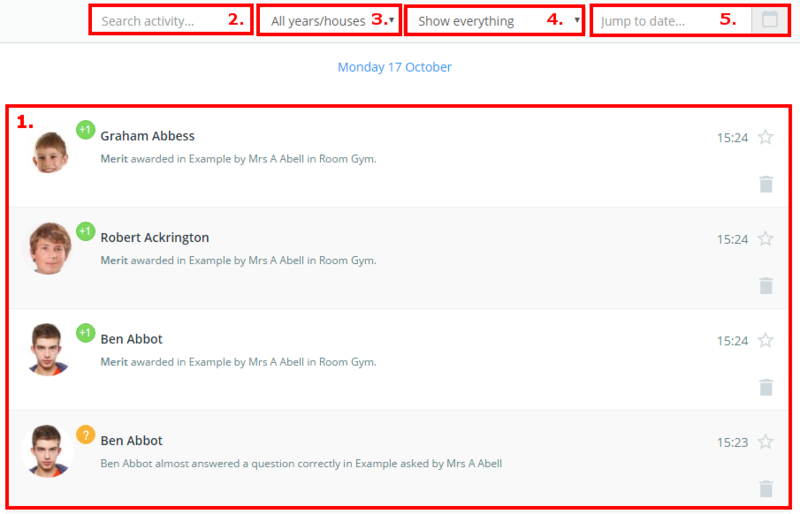 The activity feed is a live stream of all behaviour incidents, intelligence events, detentions and pupils notes added by staff in your school's Class Charts account. To access your school's activity feed, click on the Activity tab at the top of the page. You will be presented with a list of behaviour activity across the whole school (1), where new behaviour incidents appear in real time. The activity feed can be searched by entering keywords (2) or filtered by a certain group of students (3), certain types of events (4), and from a defined date range (5).